Esther and I have just returned from a busy (and fun!) work trip to NYC. 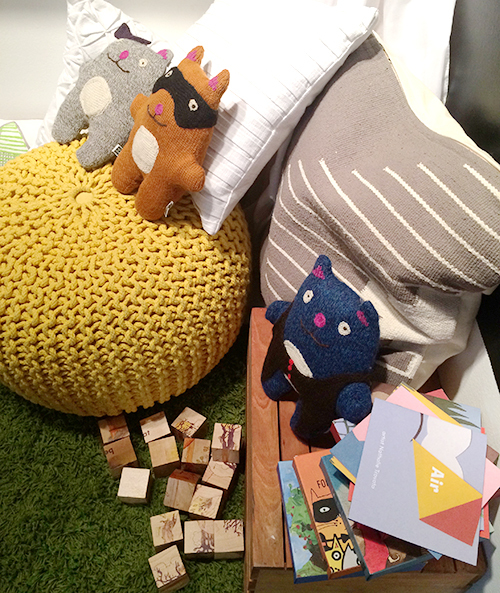 I always feel a little bit guilty calling it a ‘work weekend’ when we manage to enjoy it so much, but we did squeeze in some good meetings and spent an eventful day at Playtime NY. I was really reminded on this trip of what a lucky job we have — one that takes us to fun cities around the world for trade shows, where we get to scout out fun new brands and meet up with old favourites and where we get to meet other entrepreneurial parents who have started their own business and who are so passionate about what they do. It’s such a wonderfully supportive environment, and we feel really lucky to be a part of it. 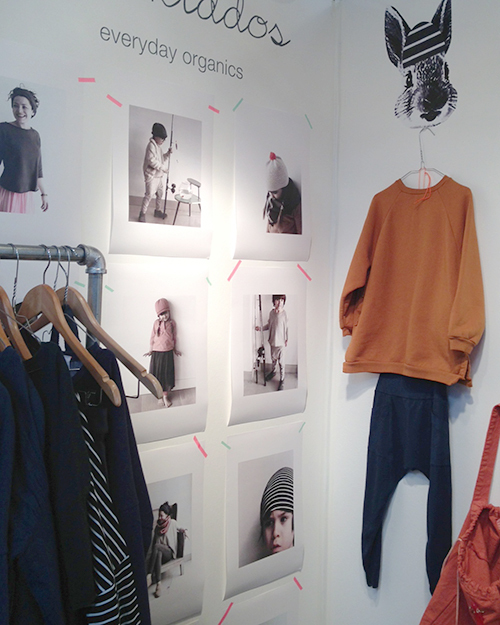 Moskiddos: Organic cotton, beautiful deep colours, easy-to-wear shapes. 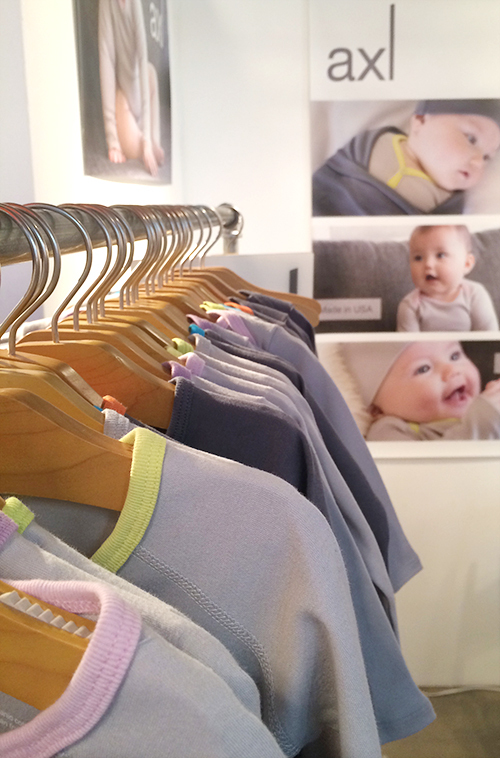 AXL: A new line of super soft, organic cotton loungewear for babies. Lots of adorable baby suits, onesies and little leggings. 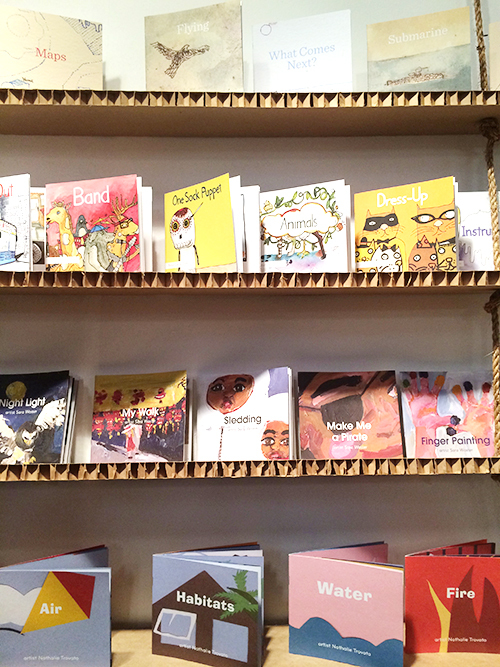 Home Grown Books: A new company dedicated to creating early reading content that is visually stimulating, respects the intelligence of young learners, and still engages moms and dads. 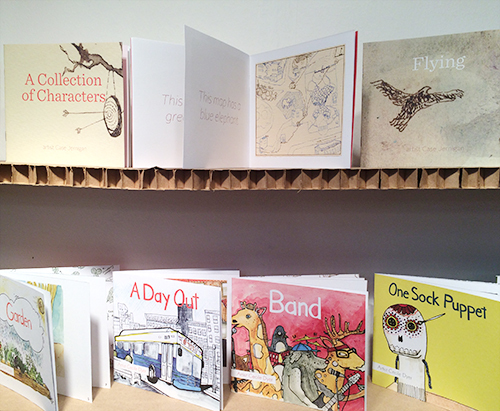 They work with various artists to create different boxed sets, and we loved the beautiful designs of them all! 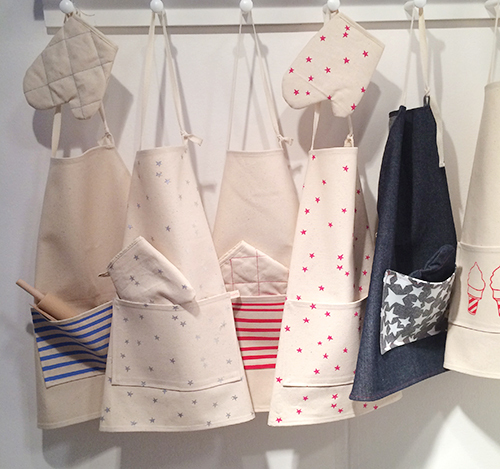 Odette Williams: We loved discovering these great cotton apron sets. 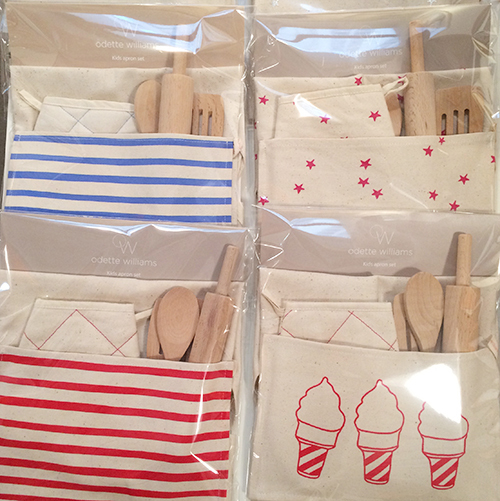 Each set comes with apron, mitt, and three wooden utensils, and we think these would make the perfect gift for little kids! 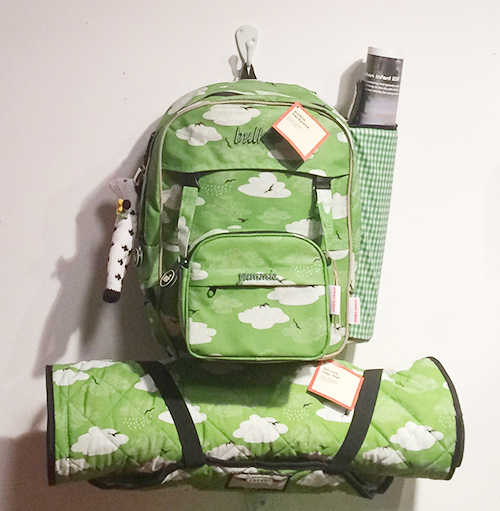 Urban Infant: Clever backpacks with an attachable daycare nap mat and clever art cylinder. 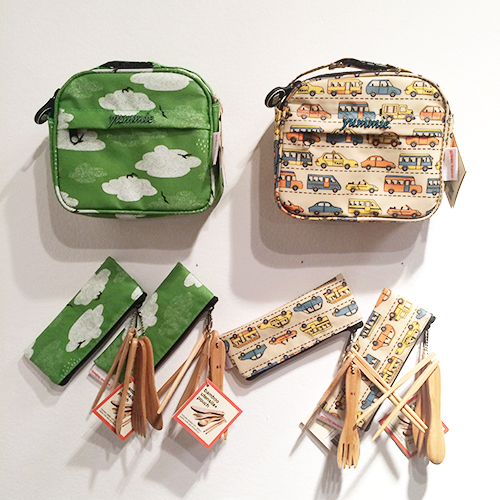 We loved the bamboo utensils pouch and the ‘sidewalk not included’ crayons. 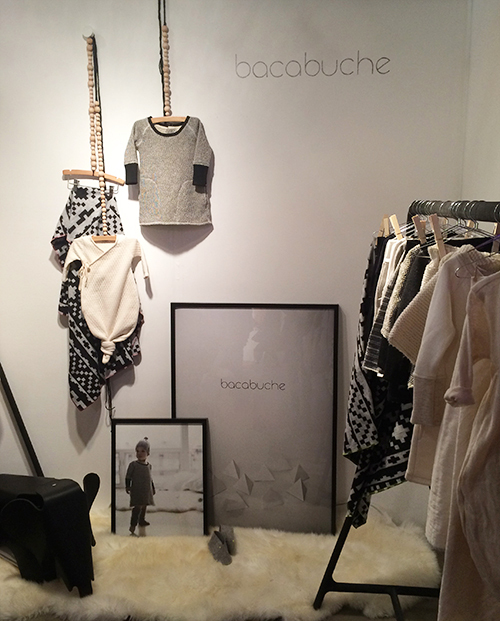 Bacabuche: If we were kids, we would want to wear these clothes! 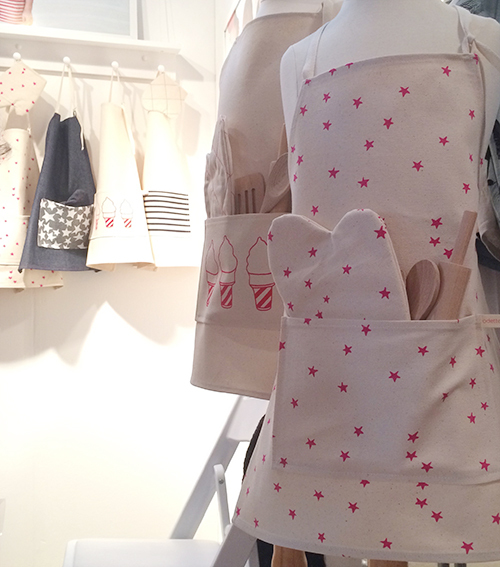 Organic baby clothing in natural colours of cream, greys and blacks featuring stylish and easy-to-wear cuts. And this kimono style baby gown!! 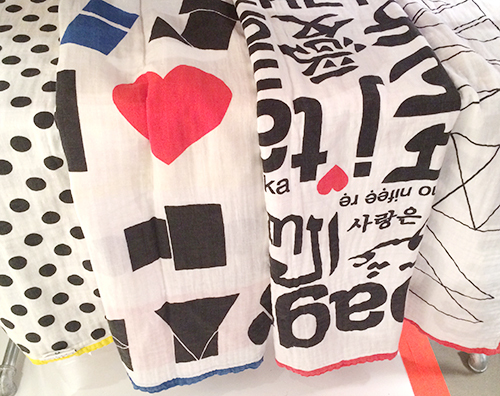 Muny: How cute is this skirt and these adorable Ikat pants?! 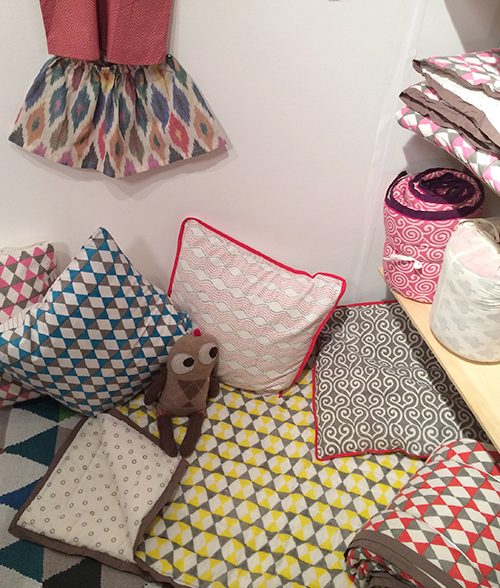 We loved this brand and all the wonderful block-printed fabrics. 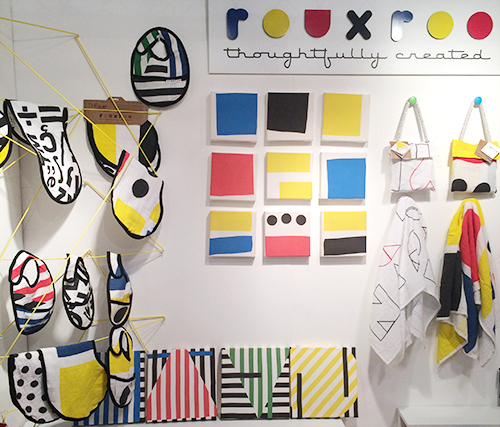 Rouxroo: Bold, vibrant prints that are engaging and also educational. 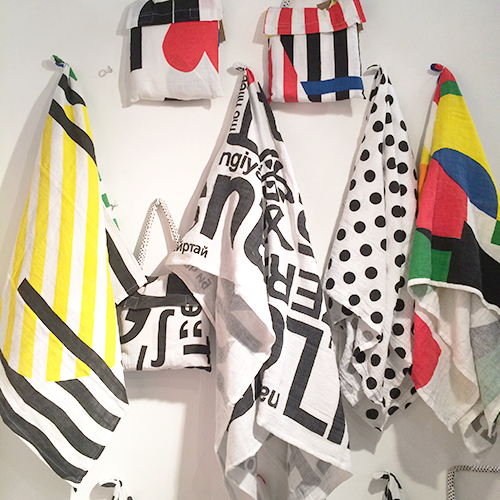 The black and white graphic prints mixed with vibrant primary colours are meant to stimulate your baby’s brain. 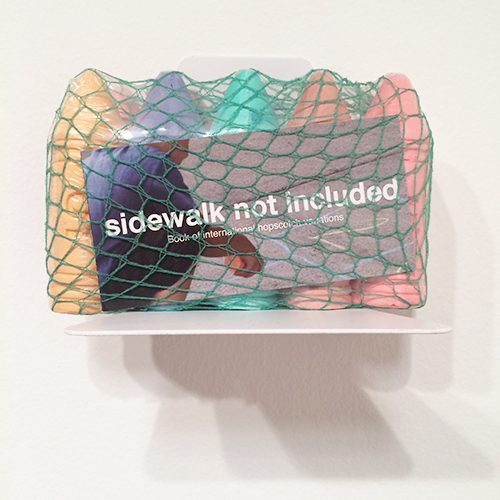 They’re also quite fun and stylish too. 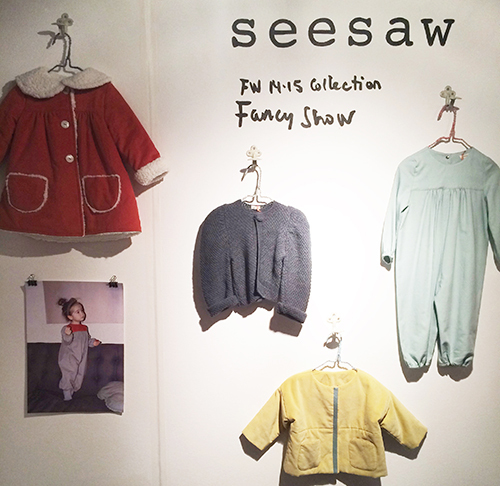 Seesaw: A very cute Spanish brand featuring basic clothes all beautifully made. 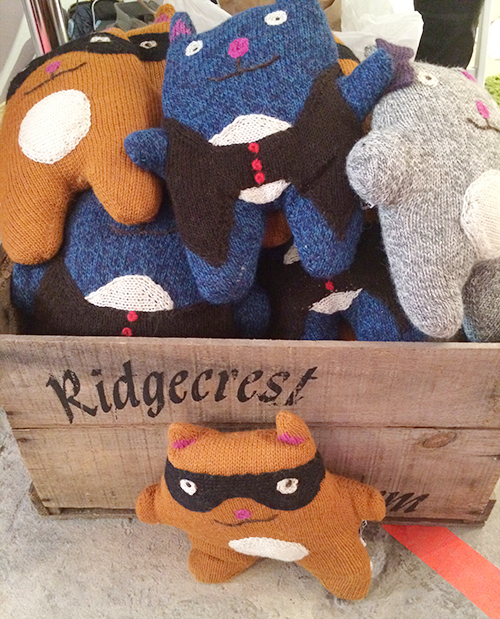 Just check out their website – how cute are those images?! 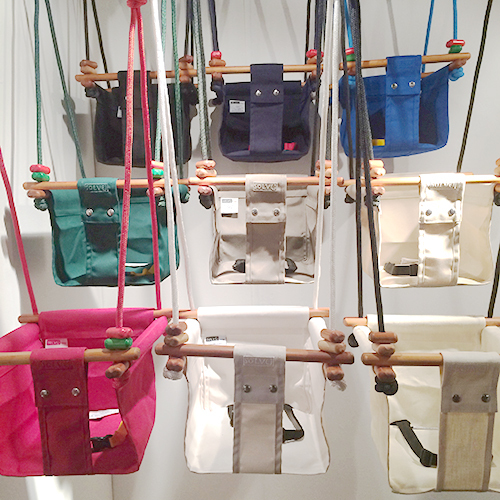 Solvej Swings: Wooden indoor/outdoor swings for babies and children 6 months to 6 years. We both want one in our gardens! 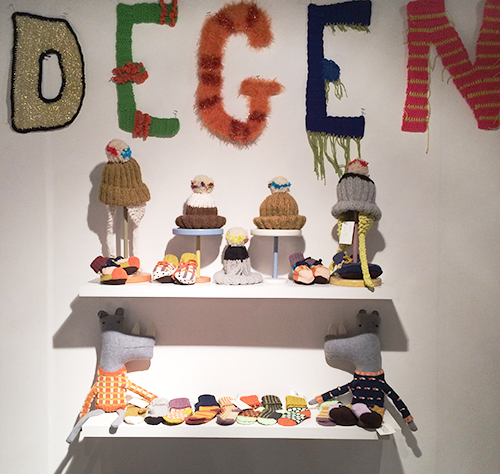 Baby Degen: A new baby line out from Lindsay Degan. 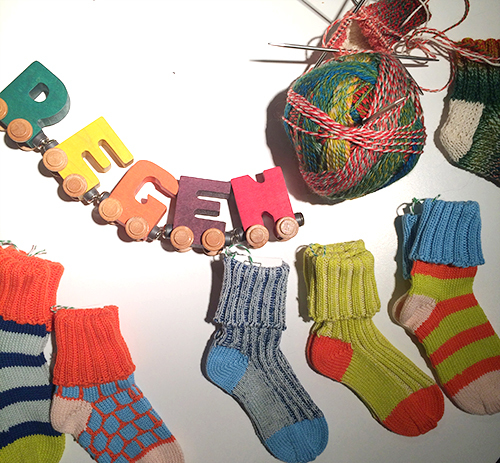 We love the funky knitted socks, hats and trousers! Definitely fun and different! 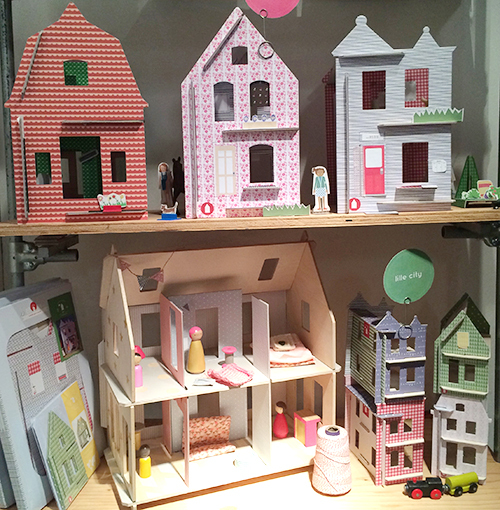 Lille Huset: Cardboard doll houses that come flat-packed with all the accessories needed to decorate and play. 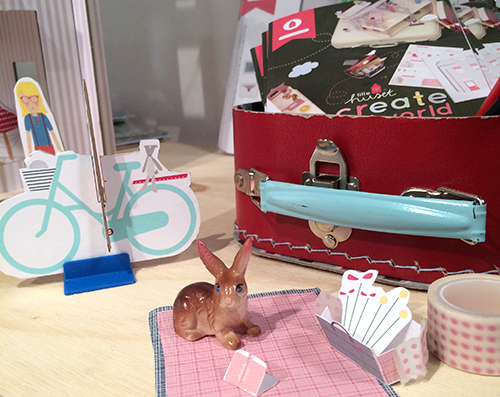 Perfect for sending gifts in the post, or for taking with you on holiday. Our girls would love these! 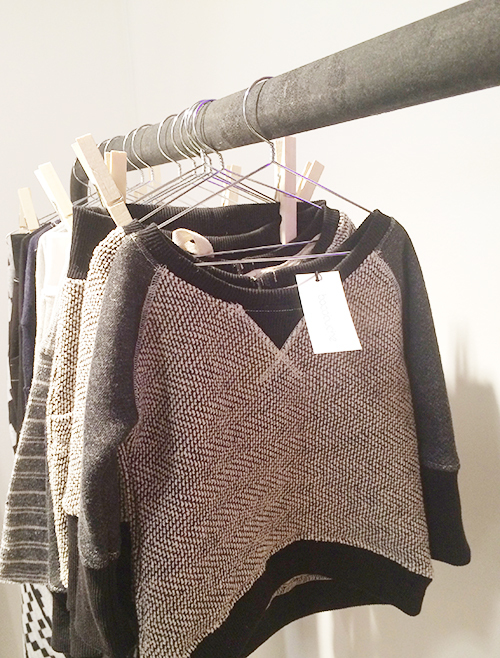 Tuchinda: Gorgeous designs featuring beautiful European and Japanese fabrics and interesting textures. 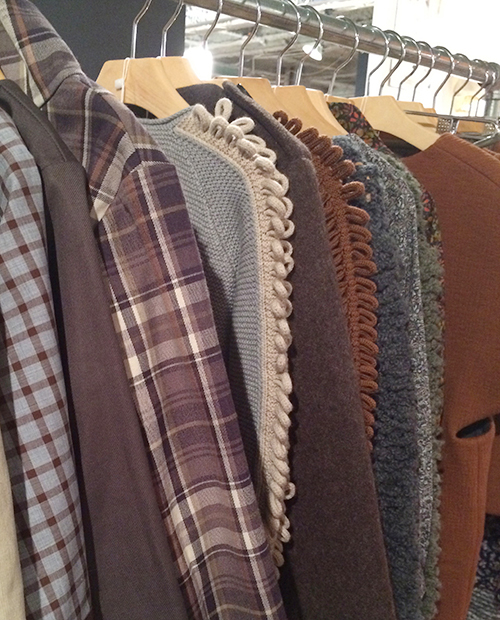 We especially loved the jackets!